Store, transport, and protect your photo gear in this black SKB 1209-4DT Case with Think Tank Designed Dividers from SKB. 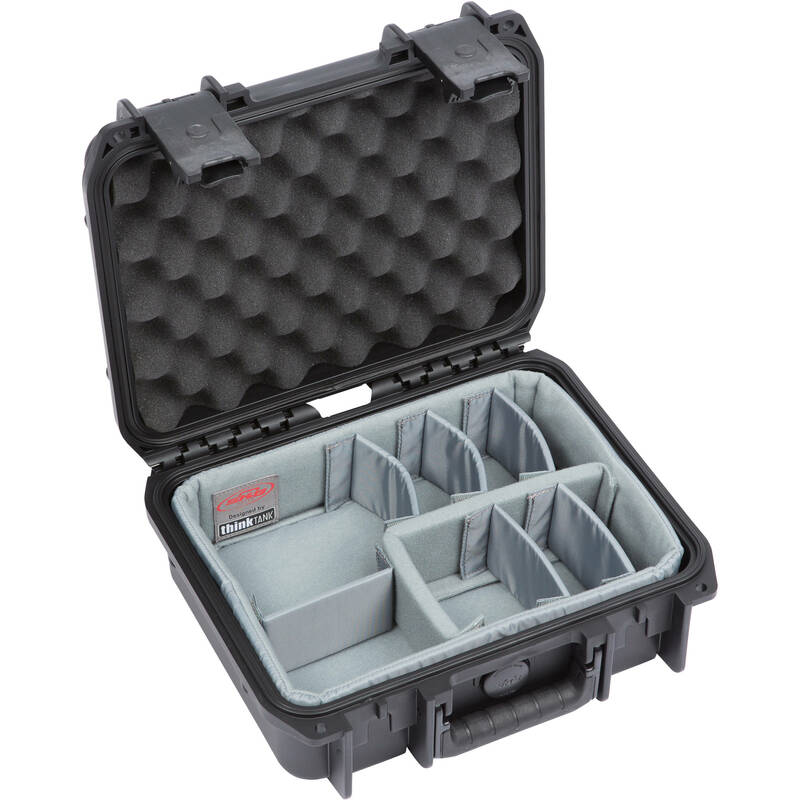 This case is injection-molded, gasketed, water, corrosion, impact, and dust resistant, as well as submersible. Photographers will appreciate the trigger-release latch system, metal hasps (for optional padlocks), lid foam, snap-down overmolded grip handle, and automatic ambient pressure equalization valve. Box Dimensions (LxWxH) 13.65 x 12.05 x 6.0"